There are 12 Memory Care Facilities in the Decatur area, with 3 in Decatur and 9 nearby. The average cost of memory care in Decatur is $3,565 per month. This is lower than the national median of $4,650. Cheaper nearby regions include Forest Park with an average starting cost of $3,500. To help you with your search, browse the 3 reviews below for memory care facilities in Decatur. On average, consumers rate memory care in Decatur 4.5 out of 5 stars. Better rated regions include Norcross with an average rating of 4.8 out of 5 stars. Caring.com has helped 6 families in Decatur find high-quality senior care. To speak with one of our Family Advisors about memory care options and costs in Decatur, call (855) 863-8283. Located approximately 15 minutes east of Atlanta, Decatur is home to approximately 2,859 seniors, many of whom make up to 140,000 seniors in Georgia who have been diagnosed with Alzheimer’s disease or dementia. To accommodate these seniors, there are 38 memory care facilities located within the city limits and in places close by like Tucker, Atlanta and Stone Mountain. In Decatur and the state of Georgia, these facilities are called Memory Care Units (MCUs). These units operate within an assisted living facility or personal care home to provide daily living assistance and therapeutic activities for those with cognitive illnesses. To help seniors make ends meet, the state of Georgia offers a tax exclusion on retirement income, such as Social Security benefits. Individuals aged 62 to 64 get an exclusion of $35,000 per person, while those 65 and older take an exclusion of $65,000 per person. Decatur is home to world-class medical facilities, including those specializing in brain health and dementia care such as the Emory Decatur Hospital, in the event of medical emergencies or illness. Seniors in Decatur can feel safe thanks to the low crime rate within the city limits; it is 11 percent lower than the national average. Seniors have a one in 41 chance of becoming a victim of any type of crime. 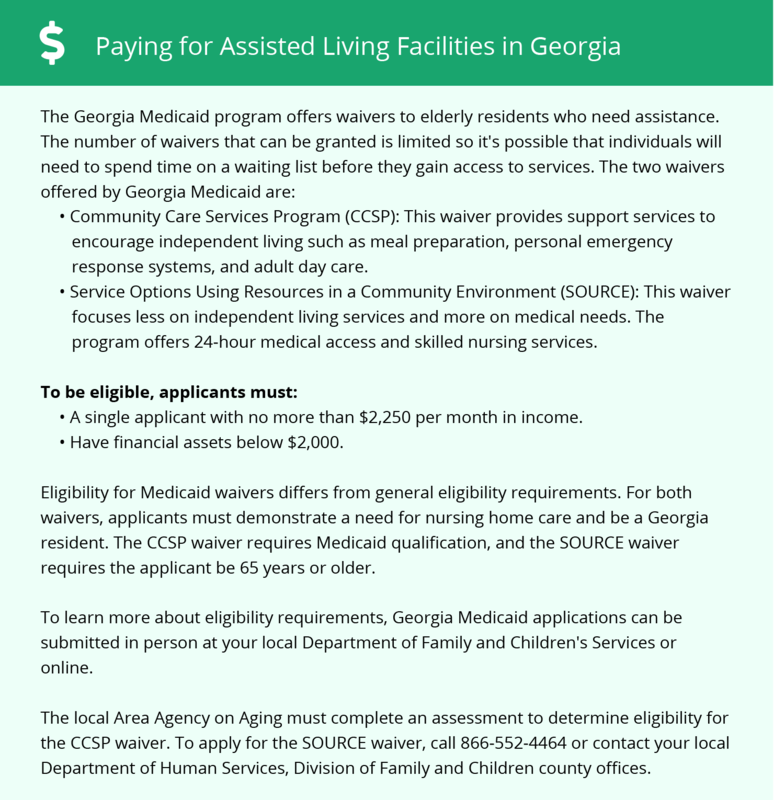 Making ends meet may be an issue for seniors on a budget within the Decatur city limits. The cost of living in Decatur is 168.2, which is higher than both the state and the national average of 100. Seniors with respiratory issues may find it difficult to get outside during the summer due to the July average highs around 89 degrees. Summers are hot and humid while winters are short and cold with average January lows around 32. Memory Care costs in Decatur start around $3,565 per month on average, while the nationwide average cost of memory care is $4,800 per month. To see a list of free memory care resources in Decatur, please visit our Assisted Living in Georgia page. Decatur-area assisted living communities must adhere to the comprehensive set of state laws and regulations that all assisted living communities in Georgia are required to follow. Visit our Memory Care in Georgia page for more information about these laws.